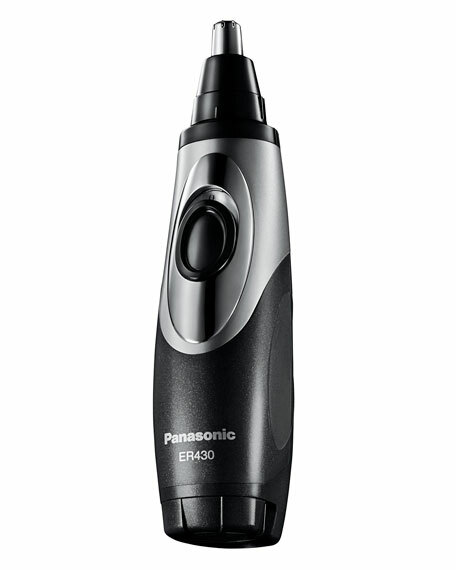 The Panasonic ER430K Wet/Dry trimmer provides a safe and easy way to trim facial hair. This trimmer uses dual-edge, hypoallergenic stainless steel blades to trim from both the top and sides. Compact, yet powerful, the ER430K can be used dry or in the shower with wet/dry convenience and is 100% washable to clean in seconds under running water. 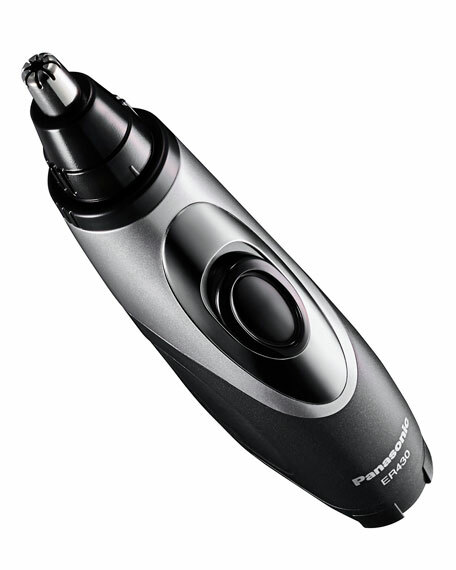 The Panasonic ER430K Vacuum Nose/Facial Hair Trimmer uses a rotating cutting system with dual-edge blades to cut hair entering the trimmer from both the sides and the top- perfect for trimming individual stray hairs to detailing eyebrows or beard. 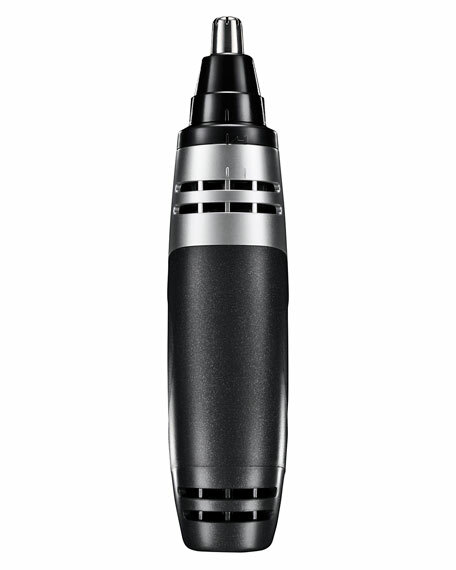 The trimmer blades are curved to match the contour of your nostrils so hairs are trimmed precisely and at even lengths. Hypoallergenic foils and blades are gentle for sensitive skin types. While trimming, the ER430K's Vacuum System neatly collects cut hairs to help make cleanup fast and simple. 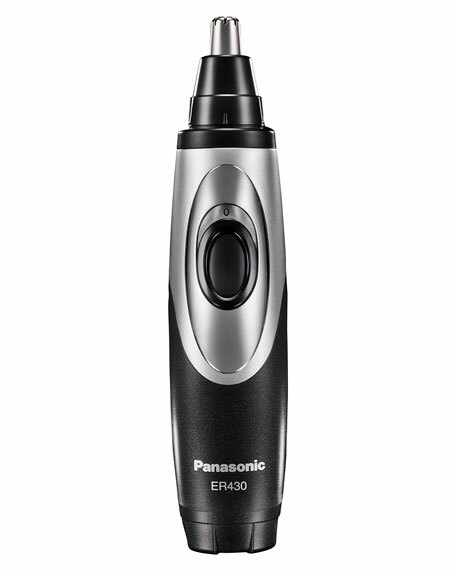 Fully immersible in water, the Panasonic ER430K can be used wet in the shower, or dry, over the sink or on the go. Trim nose hair and detail eyebrows with dual-edge blades. Hypoallergenic, stainless-steel blades trim cleanly. 100% washable  cleans in seconds under running water. Battery-operated. Uses AA battery; battery is not included.